We are in the historic city centre. Enter the parking by plaça de Santa Teresa. You can park at the available parking spaces 105/107/109 and in the ones next to them. 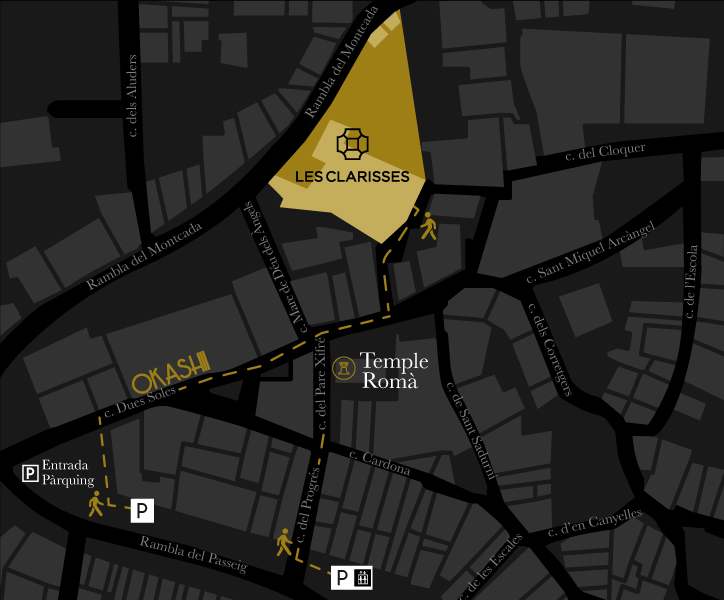 Les Clarisses is 3 minutes walking distance from it.